Just yesterday, we showed you some teasers of the Huawei P20 Pro, notch and all. Today, unparalleled tipster Evan Blass tweeted images of both the back and front of the Huawei P20, P20 Pro, and P20 Lite in various color schemes. You can tell the difference between the P20 and P20 Pro by the number of camera sensors found on back. That is two in the case of the former, and three on the latter. The P20 Lite can be distinguished by the slightly thicker side bezels, and the rear-mounted fingerprint scanner. The Huawei P20 Pro is the muscle phone of the trio, expected to offer a 6-inch AMOLED display and powered by the Kirin 970 chipset. That is Huawei's current top-of-the-line in-house SoC, which includes a Neural Processing Unit built in for AI capabilities. The P20 is expected to feature a 5.7-inch AMOLED display, also carrying the Kirin 970 chipset under the hood. The P20 Lite could offer a 5.6-inch AMOLED screen, powered by the Kirin 659 SoC. European pricing leaked out the other day, and while we are loath to convert the prices into U.S. dollars (actual U.S. pricing is always lower than the currency conversion figure), let's do it anyway just as a comparison. This way, you can see what the average European consumer will have to shell out for the phones. As you might expect, the P20 Pro is the most expensive of the trio at €899 ($1,115 USD). The P20 will be priced at €679 ($843 USD), and the mid-range P20 Lite will run you €369 ($458 USD). Check out the latest leaked images of the Huawei P20, P20 Lite and P20 Pro by clicking on the slideshow below. I really like Huawei P20 Pro in blue. It's very eye catching. I hope the performance is as good as the design. It's performance will surely be top notch. Of course it's shame that Huawei copy Apple's fugly and useless way to put that notch. But if the notch is implemented invisible like a whole black top bezel, and never seen on browser, videos, apps...is nice little feature , if we can see always few icons or notifications by our choice . Imagine next Note, with two very small symmetric bezels- on the top and down(no side bezels of course). And inside the top bezel we see icons and notifications, that we need to see all the time. Isn't that great? Apple just implemented the notch in the most fugly and useless way. Samsung will do it right. the Pro has the fingerprint sensor in front too. Fingerprint sensor on front is always better than the fingerprint sensor on the back. We need safer mobiles in US. We don't need Huawei. Better stick with Apple. 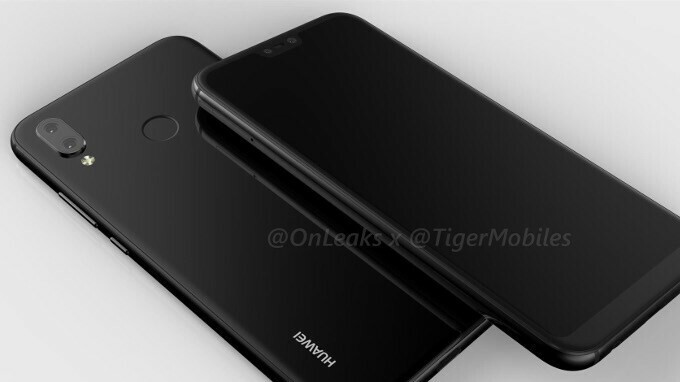 I think Huawei should spiced it up a bit and put a notch at the bottom for the fingerprint bottom. Otherwise it looks like a copycat of a fruit phone. Wish if Huawei removed the home buttons and chin bezels phone will looks dope since fingerprint scanner shifiting to back of the phone. But don’t think so cause Apple will sue them despit same front of iPhone X. Not that f**king notch. What's wrong with OEM's? Seriously, brainwashed heard. Why have the notch, when u have the bezel at the bottom? If this phone has the iPhone UI in the North American market it's setting itself up for failure. Or better yet, it will be sued by Apple. The 3rd camera being separate from the other two is a terrible design choice. P20 and P20 Pro have a button under the screen. It must be the fingertip sensor. Awful position for it. that's one weird design there If you have notch you should remove bottom bezel too or it doesn't make much sense. All these notch copycats just show how difficult it is what Apple accomplished when they removed that bottom bezel.